Saudi Arabia is changing. The Saudi Vision 2030 reforms, set in motion by crown prince Mohammad bin Salman, are a masterplan to wean the country off its dependency on oil. To diversify the economy, the country will focus on key growth sectors including health, IT, communications, tourism, and education. “[This is] a journey that involves testing new organizations, business lines, and companies,” explains Faisal Al Amro, an MBA graduate from Copenhagen Business School who co-launched his own consulting firm in Saudi Arabia, Pioneers Consulting and Training. Faisal says that the new demand for innovative companies, and the internal diversification that must occur for current companies to modernize and prosper, plays into the hands of MBA students looking for job opportunities in Saudi Arabia. 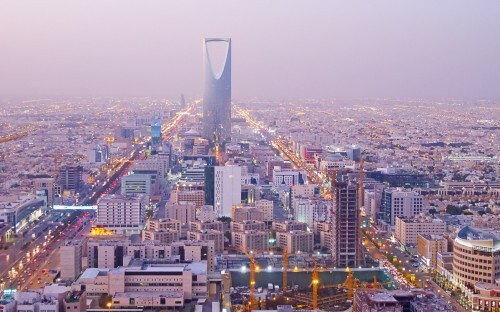 In Saudi Arabia, 20-to-30% of the population are in their thirties—prime time for an MBA program. “This generation is very ambitious and forward thinking, and the sky’s the limit when it comes to their dreams and expectations,” says Faisal. A more liberal outlook has and will open a wealth of opportunity for women in the country—last year, Sarah Al-Suhaimi became the first woman to be appointed as chair of the Saudi stock exchange. She is the first woman to chair a major financial institution in the Kingdom. In the next 15 years, as part of the reforms, there is a plan to increase female participation in the workforce from 22% to 30%. Dublin City University (DCU) Business School signed a partnership in 2012 with the Princess Nourah Bint Adbulrahman University in Riyadh—the world’s largest women-only university. They offer a Bachelor in Business Studies International Finance (BSIF), and a Bachelor of Marketing, Innovation, and Technology (MINT). Professor Anne Sinnott, executive dean of Dublin City University (DCU) Business School, says that to date over 70% of the first batch of MINT graduates, the class of 2017, have found employment in Saudi Arabia—among the companies to have hired the grads are the Saudi Arabian Monetary Authority, EY, BCG, Siemens, and SAP. Anne explains that even the financial sector—traditionally male-dominated—is opening up, to the point where some companies are positively discriminating in favor of female grads. “This year, Arab National Bank opened up an extensive graduate program exclusively for women,” she adds. Women are increasingly found in positions of leadership and authority. “Working offers women a chance to expand beyond the traditional confines of family, and create an independent life, as well as the more obvious benefits of economic independence,” explains Anne. The driving ban on women was also lifted in June 2018, and Anne confirms that the opening of a high-tech, widespread metro system for the first time in the city of Riyadh—due to be full operational by 2021—will ensure the fluidity with which the workforce can move around the city will increase drastically. The impact of tech will also open up doors for a new wave of entrepreneurs in the region. “The old way of doing business is becoming less popular, with more regulations pushing towards a more tech friendly environment,” says Obai Albashir, an MBA graduate from IE Business School who is now a consultant for the Government of Saudi Arabia. One of the fundamental pillars of Saudi Vision 2030 is the commitment to drive up non-oil revenue. The Kingdom understands that this can’t be done without the backing of scalable, local startups—tech startups are the most favourable, Obai says. All of this points to growing demand for tech-savvy entrepreneurs, something Obai says was missing in the past because of an old school, business as usual method of approaching the market. “[They] were very rare because many believed there [was] no room for them. It is becoming easier to set up companies, and Obai asserts that the government is working hard on integration between all governmental service providers to shorten the burdens associated with piles of paperwork.